Life, you’re just moving too fast! 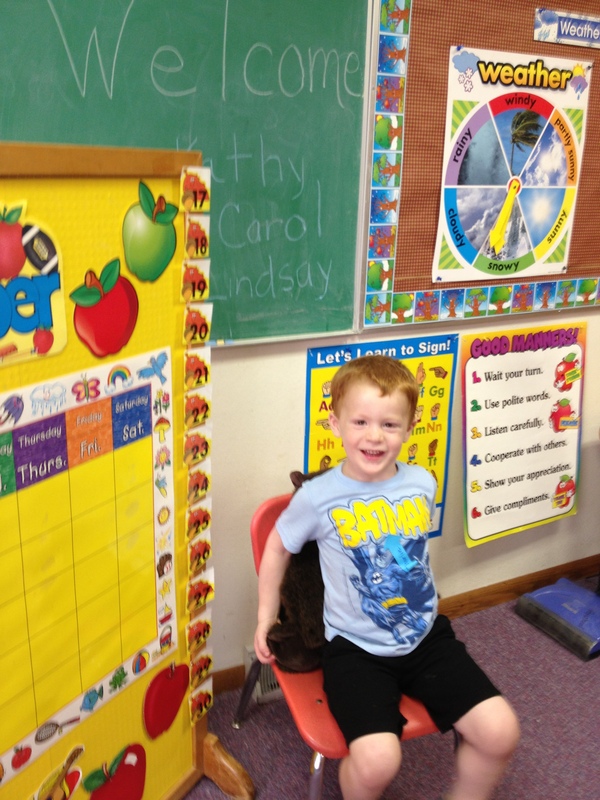 This evening, we went to Charlie’s Preschool open house and orientation. 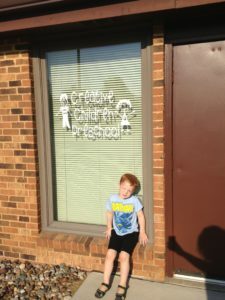 I can’t say that I’m sad, because I know how awesome Creative Children Preschool is, and I see how excited that he is! 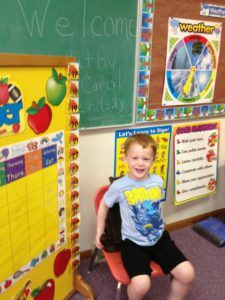 So, when it’s really the first day of preschool, I’m sure there will be some mommy tears, but I couldn’t be happier for Charlie to have this opportunity or more proud of the little man he is growing up to be! Look at that guy! Hard to believe the Little Bear we snuggled with is now the Meatball ready to go to preschool! I’m so thankful that he shares our love of reading and learning, and that he is so excited for this new adventure! Next week, a new doorway opens for Charlie, and I can’t wait to watch and help him thrive! Love this guy! Such a ham!